After more than 20 years at the helm Geof Keys, Artistic Director of the Queen’s Hall Arts Centre, Hexham is stepping down this summer. During his time at the arts centre he has led some big changes. 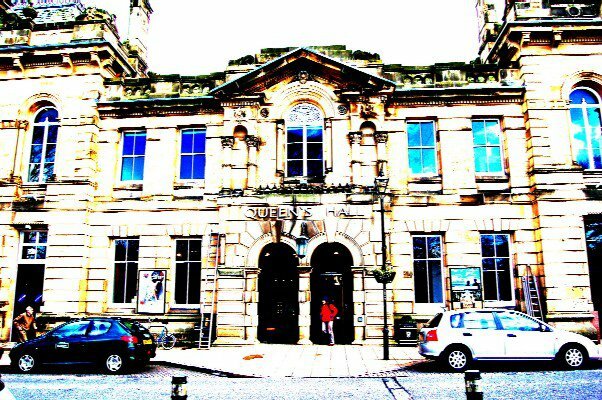 In 2001 Queen’s Hall Arts was set up to take the local arts service out of direct local authority control. The new charity quickly raised the funds for major building works, creating gallery spaces, improving access and renovating the theatre. The rather daunting public building that housed a theatre and a library has become a welcoming multi-purpose arts centre and local services hub. engagement numbers for the service have risen from 29,000 in 2001 to over 87,000 in 2017. Queen’s Hall Arts has started the recruitment process (see www.queenshall.co.uk/vacancies ).